Do you wanna build a snowman? Here’s your guide to creating one that even Frosty himself would be proud of. If you’re from a place where it regularly snows, you know there’s a difference between dry, powdery snow and wet, slushy snow. You also know how to make a snowman with the right type of snow—something between wet and powdery. 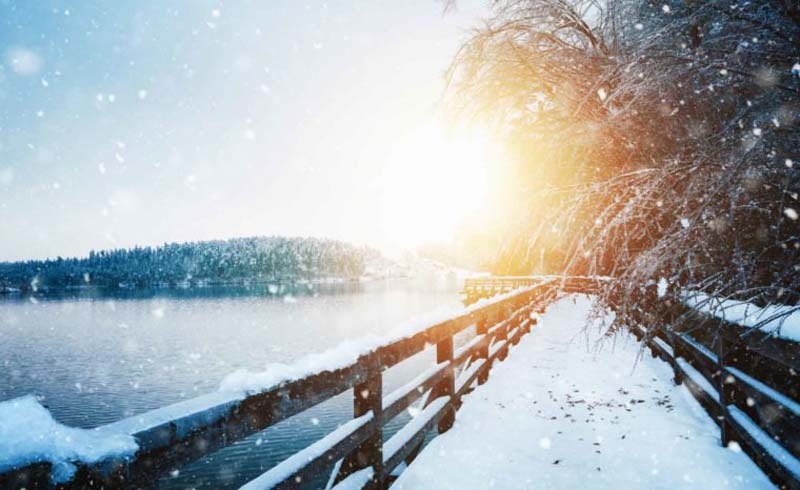 “You can think of the free water as the ‘glue,’” Jordy Hendrikx, a snow scientist at Montana State University, told Smithsonian. “You need enough to stick the crystals together, but not too much. 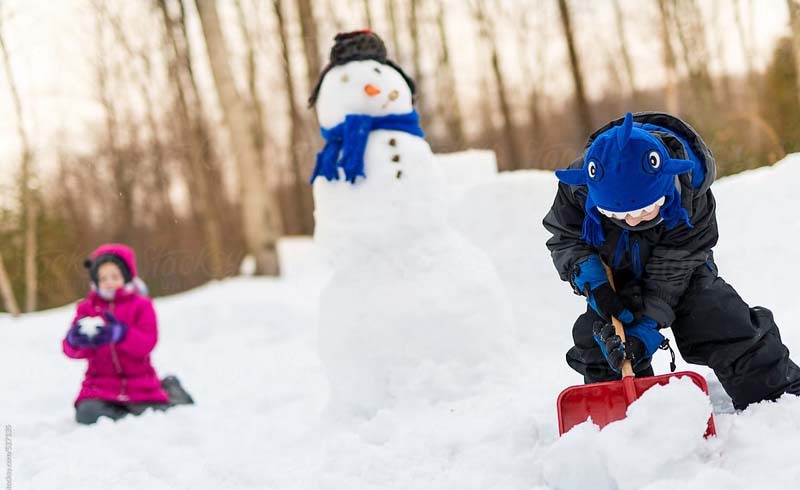 Otherwise, it won’t form a snowman.” If the snow is too dry, turn your garden hose to a light mist and spray the area you’d like to start building on. If it’s too wet, you might have to wait for some fresh powder before you begin. 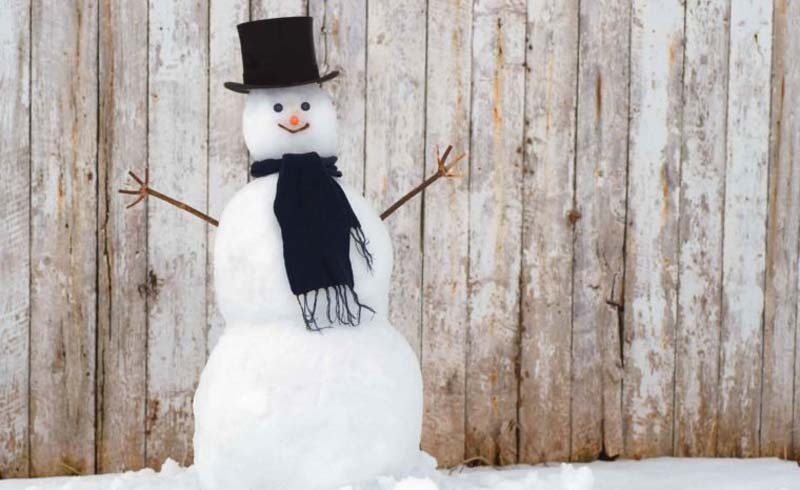 Give your snowman the best shot at a long life by situating him someplace flat and shady. Prevent his facial features from melting down his body by facing him away from the sun. Ideally, your spot will be in the center of the patch of snow you plan to roll your balls in. 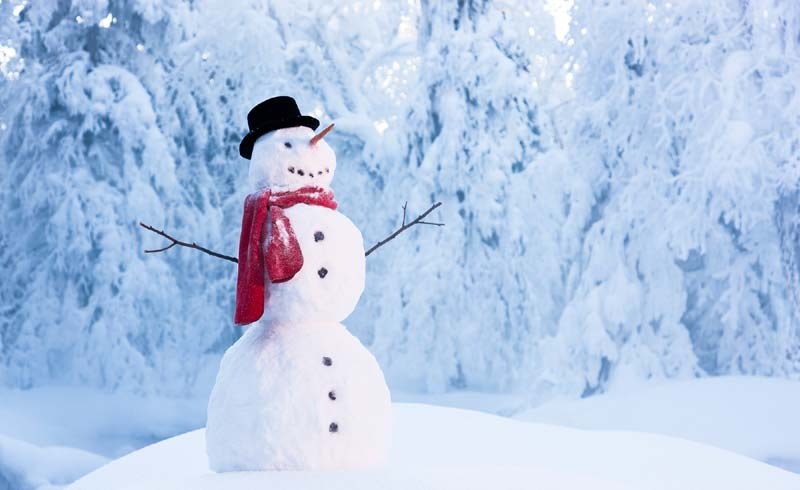 Help your snowman find his balance by aiming for a 3-2-1 snowball ratio (for example, if the lowest ball has a diameter of three feet, the middle ball would be two feet, and the top ball would be one foot). Also consider that the lower to the ground your snowman is, the more stable he will be. Rolling gigantic snowballs is easier said than done. Plus, it’s not necessarily the best technique when you’re teaching your kids how to make a snowman. 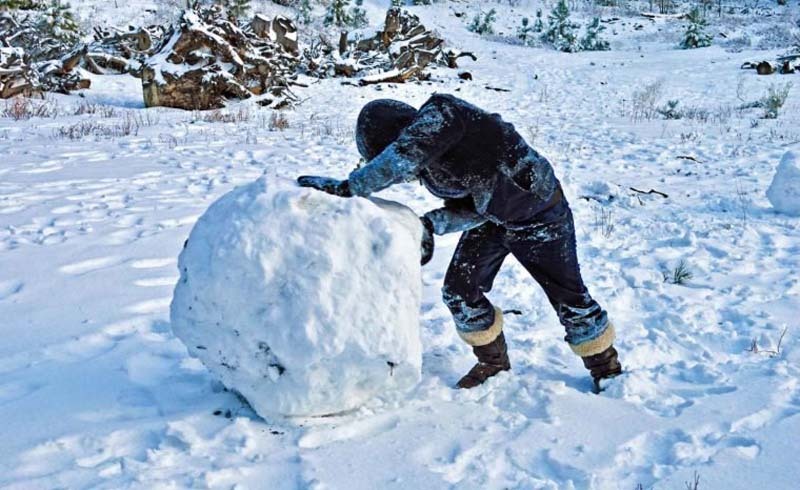 If you do try this method out, give yourself a head start by packing your snowball as large as you can with your hands first. Place the ball on the ground and roll it around your space until you’ve reached the desired size. 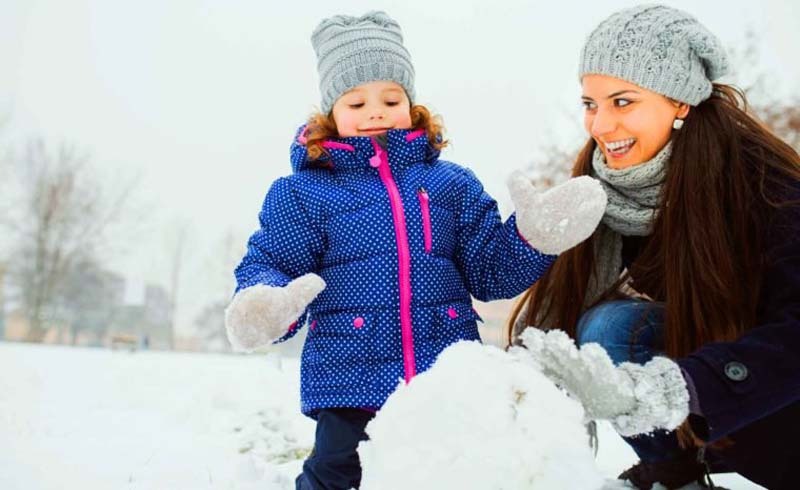 Once you’ve got your first snowball rolled, brace the area around it by packing extra snow around its base. 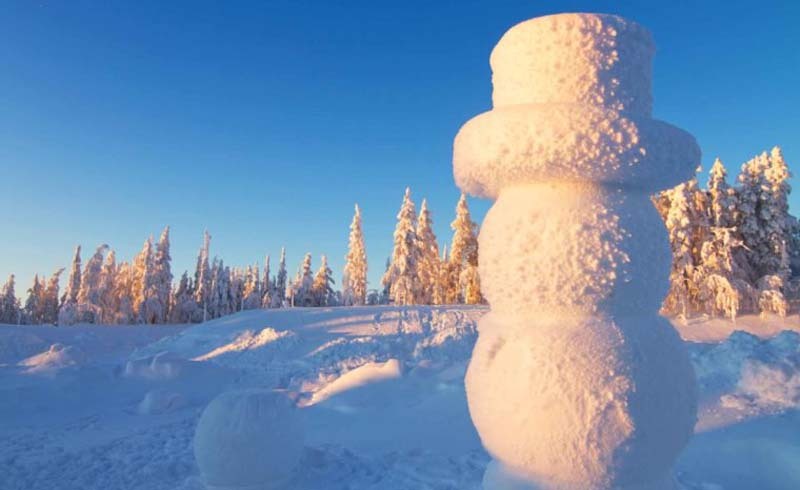 Jim Sysko, an expert snowman builder who worked on the largest snowman in the world, suggests flattening the top of each snowball before placing the next one on top. That way your snowman will have more stability. 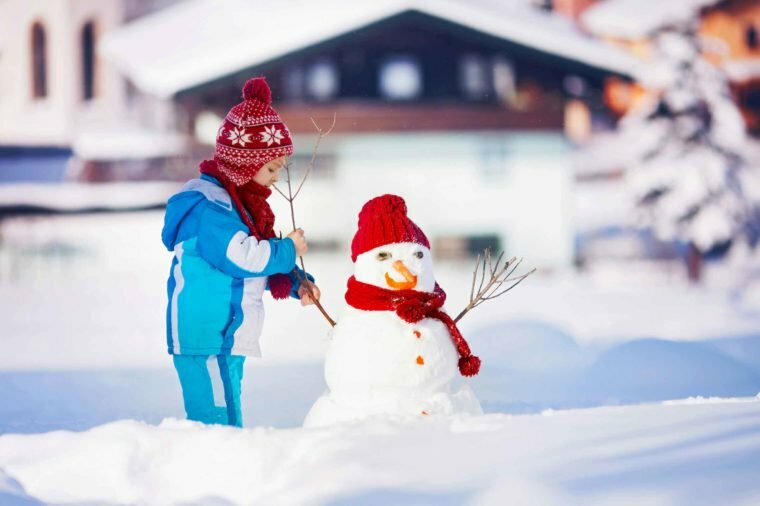 Just because building a snowman is a classic activity doesn’t mean you can’t use nontraditional decorations. How to make a snowman is only as important as how to decorate a snowman. Give him a funky cap or an ugly Christmas sweater to wear, or piece his face together using unlikely materials.